If you are looking for an effective, non-surgical tool to help you lose up to 70 pounds, the newly approved gastric balloon – or weight loss balloon - may be a good option for you. Although you may hear the balloon called “gastric balloon surgery,” this is inaccurate because the balloon procedure is not a surgical treatment. There are three types of weight loss balloons: the ReShape gastric balloon, and the Orbera gastric balloon. Dr. Shawn Garber was one of the first doctors in the country who was trained on the balloons, and since the FDA approval of these devices, he has the most experience in gastric balloon placement in the country. Patients in the New York City, Long Island, Manhattan, and Westchester areas can see Dr. Garber and the team at New York Bariatric Group if they believe the balloon may be a good choice for their weight loss. 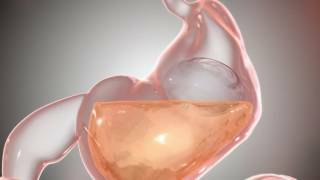 BREAKING NEWS: The FDA just approved the the Obalon Ballon Capsule, a non-surgical gastric balloon system. The Obalon Balloon Capsule is the first and only FDA-approved gas-filled weight loss balloon, designed for convenience and comfort. While other gastric balloon products are designed to be inserted surgically, the Obalon Balloon Capsule eliminates the need for any incision. 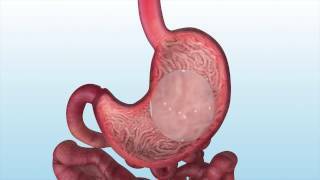 The patient simply swallows a small capsule, which then dissolves in the stomach to allow the Obalon Balloon Capsule to expand. Learn more by visiting our Obalon Balloon Capsule page. 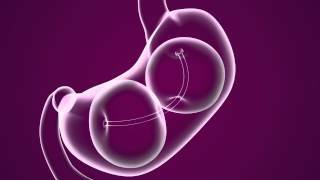 These NON-SURGICAL procedures use what is referred to as a gastric balloon. By following the ReShape™, Obalon Balloon Capsule or Orbera™ Managed Weight Loss Programs, one can experience a weight loss of up to 70lbs*. Please visit our sister site at Bellyballoon.com for more information, or visit our office and consult with bariatric pioneer Shawn Garber, MD to see the unique “belly balloon™”, and to learn if one of these programs is right for you. 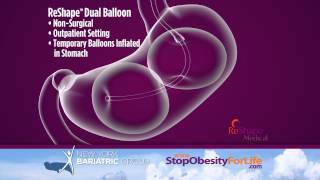 Is the ReShape™ or Orbera™ gastric balloon program at New York Bariatric Group right for me? Are you looking for support in your weight loss efforts? With the ReShape™ or Orbera™ gastric balloon you can experience a loss of up to 70lbs* of excess weight. This goes a long way into jump starting your own positive and healthy lifestyle changes. The ReShape™ or Orbera™ Weight Loss Programs do not require surgery, but does require consultation with your doctor at New York Bariatric Group, and thoughtful consideration on your part. When receiving your NYC or NJ gastric balloon, a medical device is placed into your stomach. The surgeon does this with a thin tube that goes down your throat, while you are asleep. Once the deflated balloon is in your stomach, it is filled with saline. This filled balloon takes up room in your stomach, and will help you feel more full after eating less food. The balloon is not a permanent device. It is left in the stomach for 6 months. During these 6 months, you will work with the team at New York Bariatric Group to make lifestyle changes that will help you lose weight. The 6 months of lifestyle changes, coupled with ReShape or Orbera, goes a long way towards jump-starting your positive and healthy changes. After 6 months, your doctor at New York Bariatric Group will remove the balloon the same was it was placed. You’ll be lightly sedated, and will wake up after the balloon has been taken out of your stomach. 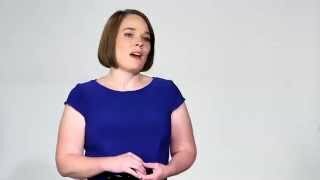 How is a gastric balloon different than other weight loss programs? The ReShape™ and Orbera™ Managed Weight Loss Programs are one of a kind, and on the cutting edge in the weight loss industry. It is not a “diet program” per se, and not surgery or a diet pill regimen. 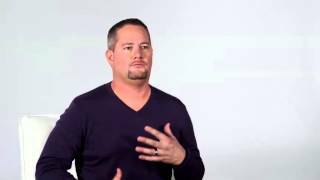 Educate yourself on this weight loss option and hear about the success that other people around the world have had with the balloon. Our New Jersey and New York gastric weight loss balloons, ReShape™ and Orbera™, are non-surgical. There is endoscopic placement of the balloon, but no cuts are made and no part of your anatomy is altered. The device is placed into your stomach, filled, and removed 6 months later. This is different from our other treatment options, which are all surgical and meant to be permanent. The other important facet of the weight loss balloon is that it is more than just a device. The ReShape and Orbera Weight Loss Programs are one-year programs designed to support you through the initial 6 months of weight loss with the balloon, followed by another 6 months of support after the balloon is removed. This additional 6 months is important in terms of adjusting to eating without the balloon, and learning how to maintain your successful weight loss. Both weight loss balloons are approved for adults with a BMI between 30 and 40, with at least one health condition related to obesity. These health conditions, sometimes known as comorbities, can include type 2 diabetes, sleep apnea, breathing problems, or high blood pressure. Weight loss typically occurs more rapidly during the first three to six months of treatment, and patients can expect to lose 25-70lbs*, providing the program is followed correctly. New York Bariatric Group has helped thousands of patients lose weight and maintain that weight loss. Our team is experienced in the challenges bariatric patients face, and how to best help you make choices that will lead you to success. No, at this time insurance will not pay for your ReShape or Orbera weight loss balloon. We do offer financing options, so please talk to us about that if you are interested in this non-surgical weight loss procedure. If you think the weight loss balloon may be a good choice for you, the next step is to contact New York Bariatric Group. As one of the most experienced practices in the country at placing gastric balloons, we can help you understand the pros and cons of this treatment option. You can contact us here. The New York Bariatric Group is proud to provide a virtual aftercare program to assist you on your New Jersey or New York gastric balloon journey. We have a website portal, android and iPhone app where you can make your appointments with our nutritionist or fitness trainer and at the time of your appointment you just click a button from the comforts of your own home and you are instantly video connected to our staff. We also have a comprehensive library of prerecorded fitness and nutritional videos, unlimited messaging with our nutirionist, as well as I’ve streaming group nutrition and fitness classes. *Weight loss results vary from person to person, see NYBG for a consultation.